DJ & Music offers professional disc jockeys, venue up-lighting, photo booths and name & date monogram projection lighting (gobos) for any type of special event. We also provide portable sound systems and music for wedding ceremonies that may be outdoor or in a different location than the reception banquet room. We have been in the event entertainment business since 1985 performing at wedding receptions, corporate events, birthday parties, school dances, graduation parties, anniversary parties, and high school reunions. We have a huge music library containing selections from the "Oldies but Goodies" on up to the current Top 40. We have over 30 years of experience in the entertinment business with a long list of satisfied clients to compliment our many years of experience. Reliability: We have been in the DJ business since 1985 and have an outstanding reputation along with a proven track record of success. We have entertained at hundreds of events each year for over 30 years! Unique "Formula": We use a time-tested formula that uses your music requests, your guest's requests, and musical suggestions from our DJ to tailor a personalized music play list guaranteed to have your guests dancing all night long! Free Preview: It can be very difficult to choose a DJ company based solely on a web site, video demo, or a phone call. We invite you to come to our office where you can see a "Live Preview" of our DJ service. You'll be able to hear our incredible sound system, get an idea of our vast music library, see our awesome dance floor lighting, view venue up-lighting in our showroom, see an example of our monogram lighting and even take a picture or two in our photo booth! Most importantly, you will have an opportunity to meet us and to tell us about the type of entertainment experience you would like us to provide to your guests. High Expectation: As DJs, we feel that we have a tremendous responsibility in ensuring that your event is successful and memorable. 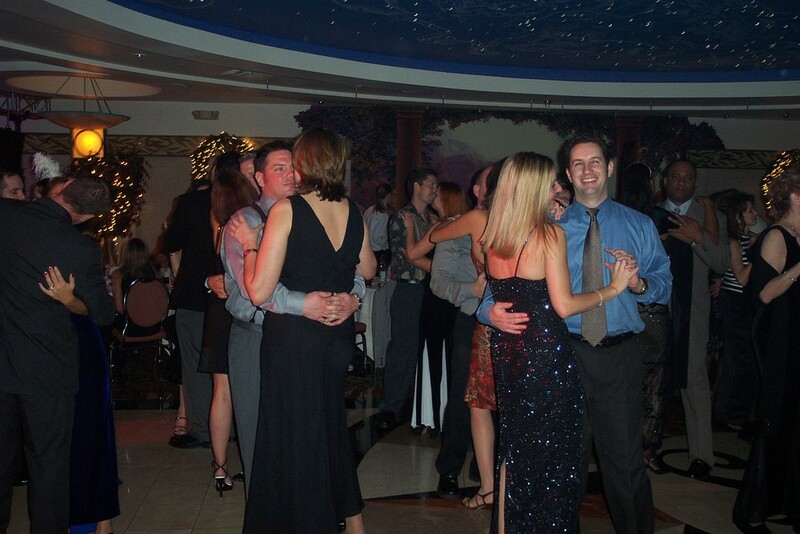 Our goal is to have your guests saying: "This is the BEST party I've ever been to!"